Huge. not too sharp but its not like it needs too be because it is huge and heavy. Not the strongest of the cold steel machetes, but it is big enough to cut through just about anything with force, and small enough for good precision. 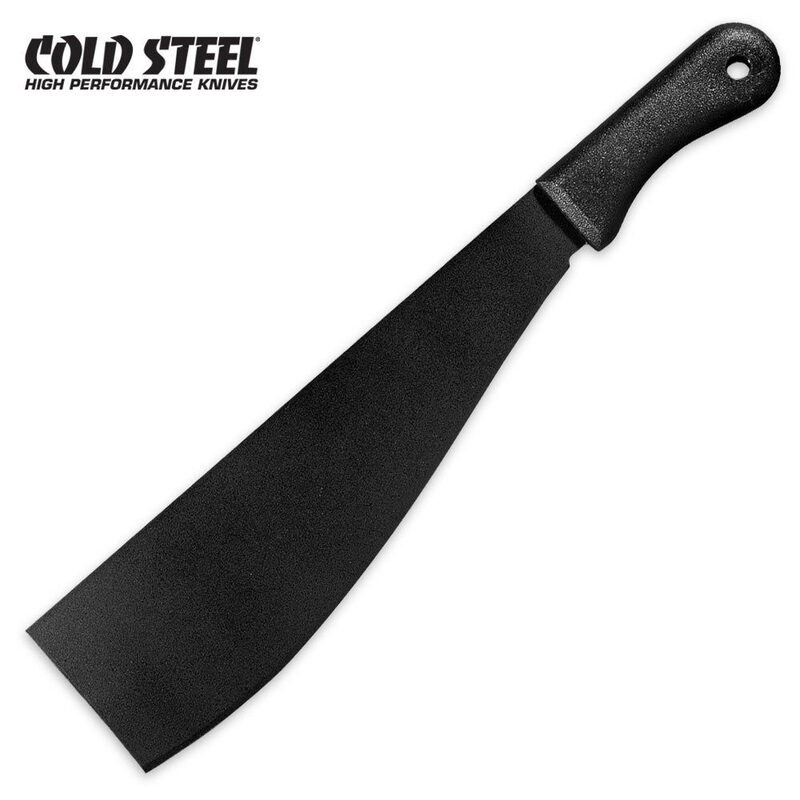 The strongest of the cold steel machetes is the 24 inch latin machete. I am very pleased with this machete. Its wasnt sharp when I got it but I tried it out and it impressed me. Can't wait to sharpen it.